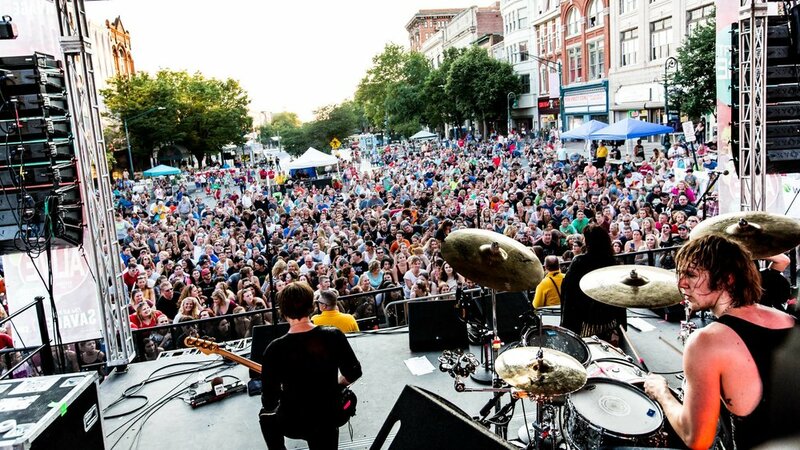 Downtown Alive will return this summer with free concerts in Reading, PA! The Downtown Alive free outdoor concert series is returning for the fifth consecutive year to Reading starting May 29! As always, you can expect a dynamic lineup of performers from varying musical genres. Each concert will feature a festival atmosphere and include food trucks, beer and wine for sale. All shows will be held in the 500 block of Penn Street and start at 5 p.m.
Scroll down to see who’s performing! September 18 — To Be Announced Soon! OUR OPENING SHOW ON MAY 29 – GO GO GADJET & BLACK CAVIAR! It’s official! Go Go Gadjet & Black Caviar will kick off the concert series on May 29 in downtown Reading! 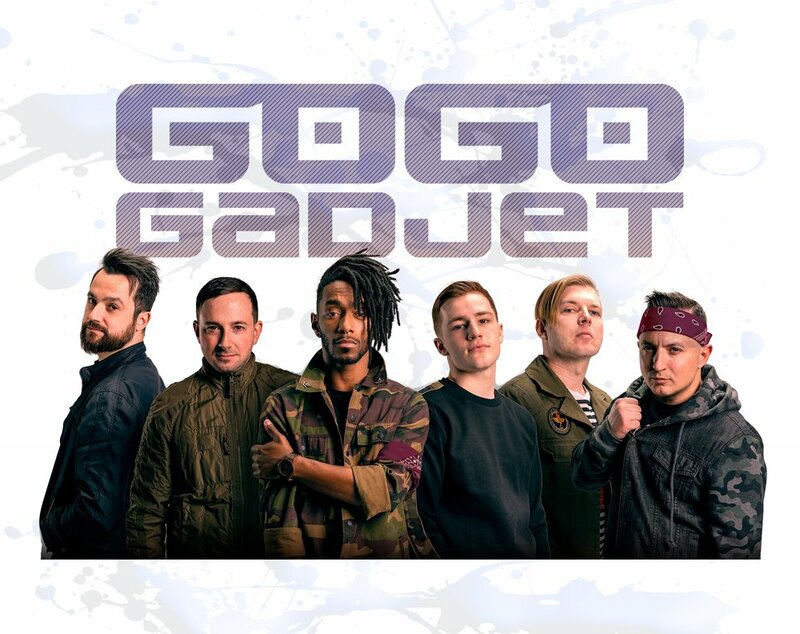 The high-energy, locally-bred Go Go Gadjet opened the 2018 series to huge raves, so they’re back bigger and better than ever! The ever-popular band blends the rhythms of dance music with familiar melodies from the past and present. Go Go Gadjet believes imagery and music go hand in hand, so expect to see mind-blowing visuals at this show. Joining the band will be Black Caviar, the high-riding electronic dance duo comprised of Jarred Piccone, a Berks County native, and Troy Hinson, a former Kutztown resident. Black Caviar has been described as “one of dance music's most versatile producers, fusing elements of Chicago House and NYC Hip Hop, with a blend of New Orleans bounce and a twist of Latin rhythm.” This wildly popular DJ duo was involved with the award-winning soundtrack for the latest “Spiderman” movie – Spider-Man: Into The Spider-Verse. COMING JUNE 19 — A FLOCK OF SEAGULLS! Grammy winner A Flock of Seagulls will headline the June 19 Downtown Alive free outdoor concert! A Flock of Seagulls made musical history as one of the trailblazing bands during the ‘80s new wave era. With hit singles such as “I Ran” and “Wishing (If I Had a Photograph of You”), the group was started by Mike Score (lead vocals and keyboards) in 1980 in Liverpool, England. He was joined by his brother, Ali (drums), and Frank Mausley (bass), and guitarist Paul Reynolds was added a few months later. Opening for A Flock of Seagulls will be local band Sloth Love Chunk, an ‘80s cover group. 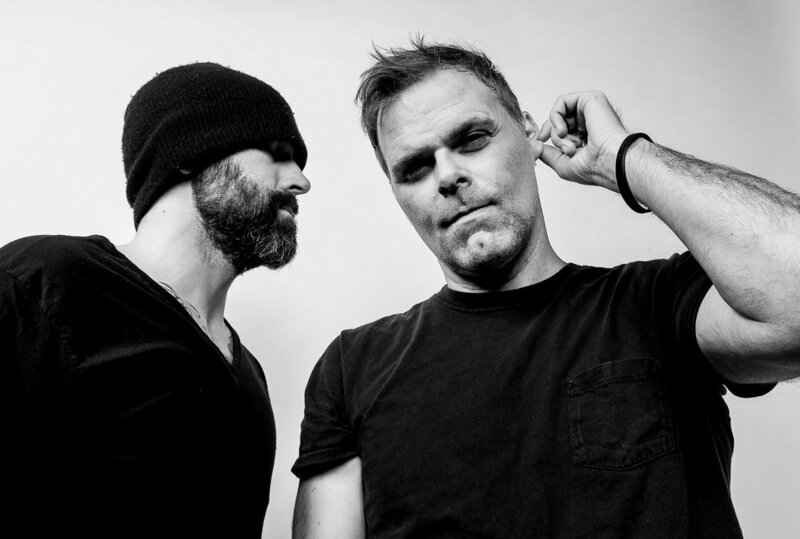 Local H, an alt-rock duo known for its blistering live shows and pioneering two-piece band setup, features frontman Scott Lucas, who covers both guitar and bass (through an extra pick up in his guitar), and drummer Ryan Harding. Formed more than two decades ago, the band has enjoyed a resurgence in recent years, buoyed by global touring along with the release of some of their most critically acclaimed work to date. Opening for Local H will be local alt-rock band Anthrophobia, which will be appearing with Local H at other shows on multiple dates this summer. the revolution — prince’s former band — to rock reading august 14! The Revolution -- Wendy Melvoin, Lisa Coleman, Bobby Z, BrownMark, and Dr. Fink -- merges funk, rock n' roll, rhythm and blues, pop, and psychedelia genres. The band rose to international fame in the mid-1980s with Purple Rain, a rock operatic project centered on Prince that catapulted him and the group to instant stardom. The Revolution have achieved two number-one Billboard 200 albums (Purple Rain and Around the World in a Day), multiple top 10 singles on the Billboard Hot 100 chart, and have won numerous awards, including three Grammys and three American Music Awards. The band officially disbanded in late 1986. Following Prince’s death in April 2016, The Revolution reunited to honor the musical genius that he instilled in them and upon the world. The band continues to pay tribute to Prince in the best way possible – playing the music they helped create with him. Opening for The Revolution will be the local DJ duo 3’s Co., featuring DJ Gregg Nyce and Evolution. 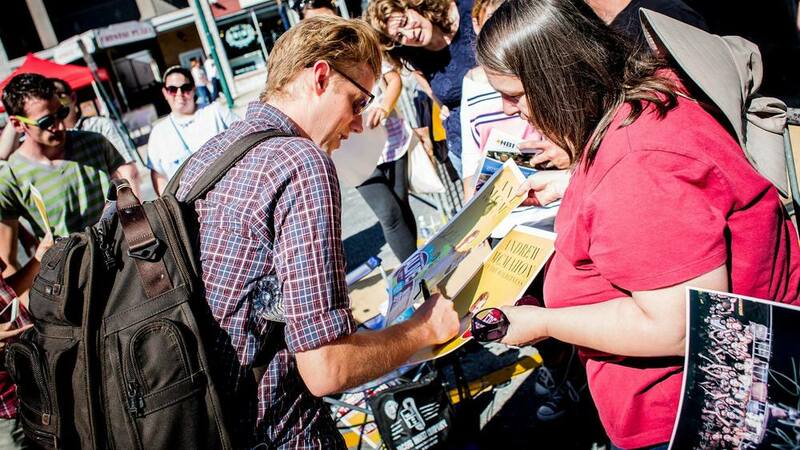 Downtown Alive presented by Weidenhammer is a free outdoor concert series designed to support the revitalization of downtown Reading, Pennsylvania. This concert series is produced by the Reading Downtown Improvement District. The series focuses on generating lively events, bringing commerce and new business in order to create a vibrant downtown. 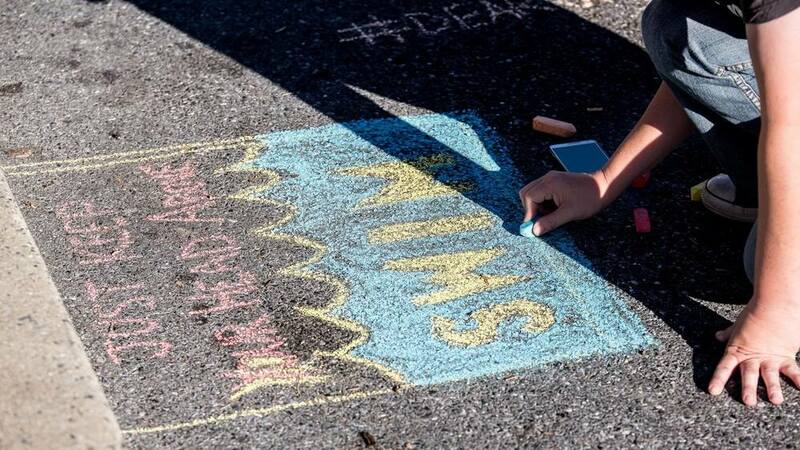 Downtown Alive provides an exciting atmosphere for the community to enjoy. Major funding for the concerts is provided by Berks County Community Foundation and Berks County Convention Center Authority. The DoubleTree by Hilton hotel is the hospitality sponsor. Free parking is provided by the Reading Parking Authority. Where are the Downtown Alive concerts held? Downtown Alive concerts are held in the 500 block of Penn Street in Reading, Pennsylvania. The block is closed off to vehicular traffic for each concert. Thanks to the Reading Parking Authority, free parking will be available in the 4th and Cherry Street garage starting at 4 pm. the day of each concert. Most other Parking Authority rules apply. Where will I be standing to watch the show? The stage is at Sixth Street and Penn Streets facing west (toward the Penn Street Bridge and West Reading). The fans will be in the 500 block of Penn Street, facing east away from the sun. The concerts will take place rain or shine. Only severe thunderstorms would delay or force cancellation of the shows. You don’t have to! Each concert is free and open to the public. Is the concert series family friendly? Of course! All concerts are open to all ages. Can I bring my dog to Downtown Alive since it is outside? Come on down with your dog, but remember that you are responsible for how they interact with other people. Are there prohibited items at the shows? Sure! In addition, we will have food, beer and wine available for purchase from food trucks and stands on site. And several stand-alone restaurants downtown will also be open for your convenience during the concerts. Please note: While non-alcoholic beverages are permitted to be brought in from the outside, alcoholic beverages are prohibited and will be confiscated if discovered by security personnel.